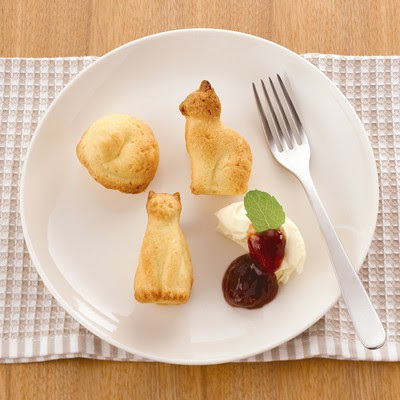 I've recently encountered a few images (seen here and here) of some absolutely delightful mini-cat cakes - and as a blogger, I couldn't sit idle without knowing exactly where they came from. 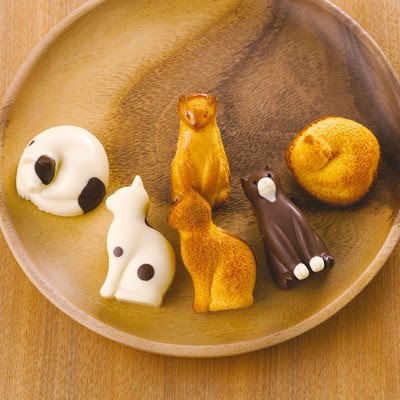 It turns out, the sweet treats were made with the help of a silicon cat tray by Muji, the Japanese retailer known for its clean, minimalist designs. From sponge cake to chocolate, to fancy French madeleines - and even ice cubes! - this is the ultimate kitchen tool to make all of my your cat cooking dreams come true. Luckily (for a change), you don't have to leave the country to get your paws on the adorable mold. Muji has two stores located in Manhattan, plus you can order it online through their website for $17.95. Can you imagine adding these onto cupcakes for Cat Cupcake Tuesday????? @Marika I would die of cuteness. 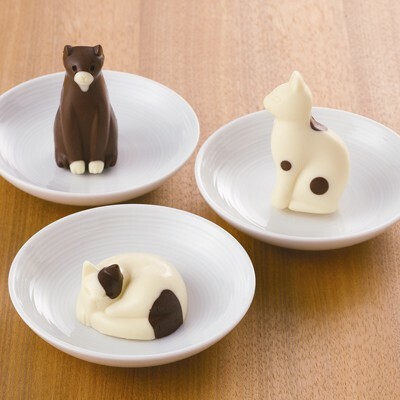 OMC...I could have butter cats at Thanksgiving instead of Turkeys, hahameow! @Teri MEOW, I love that! The possibilities are endless..! Very cute. I love the samples you show. I might just have to get one these pans!! those would be purrfect for fishycakes! I HAVE TO HAVE THESE!!! That was so cute I had to get one for myself! First experiment? Chocolates, of course! Thanks for showing us so many wonderful things. OMG a Muji store just opened up in my neighborhood. must get this!